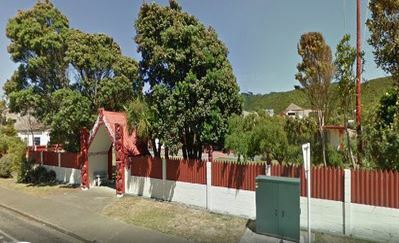 Where: Toa Rangatira Marae, 26 Ngatitoa St, Takapuwahia, Porirua. Saturday – Registration, Goodie Bags, Guest Speakers, Evening dinner and dancing. Sunday – Breakfast and Farewells. This includes accommodation on the Marae, bring a sleeping bag and favorite pillow if you wish. Mattresses, bottom sheets, pillows and pillow cases are included. $150 Early Bird Pricing (Full Attendance) – First 20 people to register and pay before June 30th 2017. Included is Friday Night meet and greet, Saturday breakfast, conference , all speakers, lunch tea & coffee and Saturday night dinner. Plus breakfast on Sunday morning before farewells. $180 Full Attendance (When Early Bird is Sold OUT and for those who do not pay before June 30th) – Included is Friday Night meet and greet, Saturday breakfast, conference , all speakers, lunch tea & coffee and Saturday night dinner. Plus breakfast on Sunday morning before farewells. $57.00 Saturday conference only – Included is Saturday conference, all speakers, lunch, tea & coffee. $145 Saturday Conference and Dinner – Included is Saturday conference, all speakers, lunch, tea & coffee, Saturday night dinner and entertainment. $87.00 Partners Dinner – Included is Saturday night dinner and entertainment. Cancellation Refund Policy. A 20% administration cost may be charged for cancellation up to 20 October 2017 and any cancellations after that date a 50% fee may be charged. This will be at the discretion of the Conference Organising Committee and will be final. We can do a drip feed payments system, as in previous years, but it has to be paid in full by 27 October 2017.